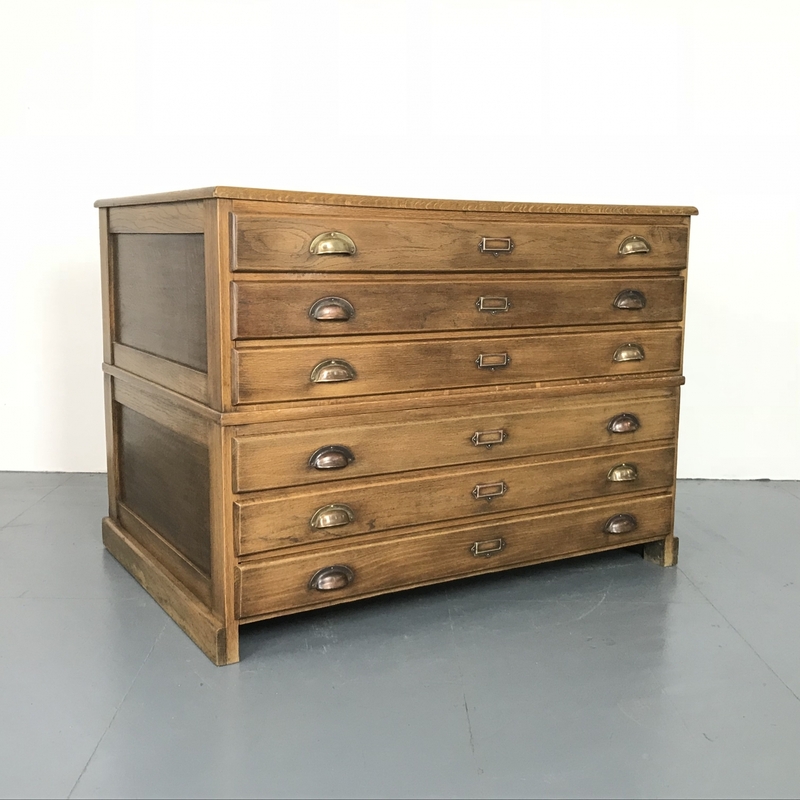 A very fine 6 drawer vintage plan chest with metal cup handles. The plan chest has 6 full sized drawers. Drawers: 110cm W x 76cm D x 7cm H.
In good vintage condition. There is some age-related wear, including in particular some wear on the top, but nothing too serious. The drawers all run smoothly. A very nice looking storage piece.